The Khaki Navy Pioneer Edition Limitée aims to be different. 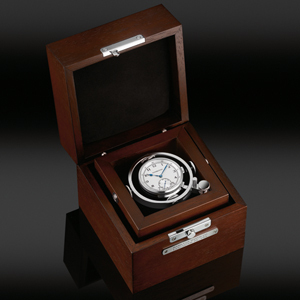 First for its functionality, as Hamilton has designed this timepiece to be enjoyed as a wristwatch and as a desk clock, when set in a parallel position inside its distinctive hevea hardwood box. 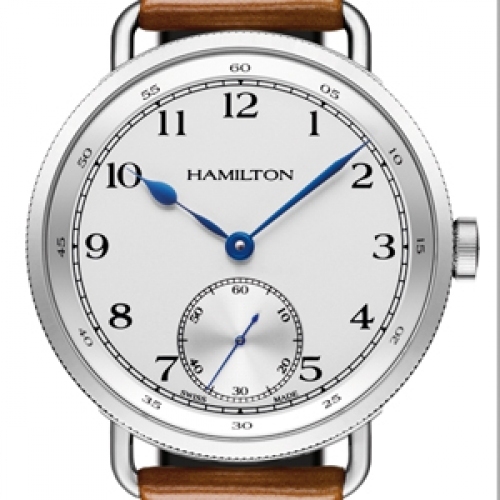 Then for its heritage, as Hamilton celebrates 120 years of time measurement and boasts watches of unparalleled accuracy. Indeed, the marine chronometers it produced in the 1940s demonstrated a degree of precision that was qualified as "zero rate". Equally noteworthy, the hand-wound calibre 6498-2 has the hallmark of a fine watch movement and bears a unique engraving in honour of this milestone year. Nostalgia is very much in evidence in the watch's design, whether in the profiled, blued hands, the velvety finish of the silver-coloured dial, or the top-stitched brown leather strap. A timepiece whose dual function makes the transition from past to present with intelligence and ease, proposed as a limited edition of 1,892 pieces in reference to Hamilton's founding year.